We might not notice it that much, but getting a fresh coat of paint can actually change the whole look of a room. It can add some light to a rather dark room, or even bring the much needed elegance to a specific space in your home. However, most homeowners are immediately assuming that an interior residential painting is just beyond their scope, but with some helpful tips and hints, the right paint, and a little elbow grease, anyone – whether you’re into home painting or not – can do and complete a simple house painting job even without getting some painting services. To guide you, here are some useful home painting tips. To start with your paint job, make sure that your workspace is clear from any furniture or valued items that could be damaged from paint drips and splatters. You can either cover your furniture with old cloths and linen, or just simply move them out for the meantime. Also, ensure that your tiles, carpet or wood flooring are covered with plastic floor coverings so as to avoid being marred with paint splatters. Outlet coverings and non-permanent light fixtures should also be removed for an easier house painting job. While applying a fresh coat of paint can help in hiding some of the imperfection in the wall, it will still not be enough to cover all of them. If there are some ragged nail holes in the wall, simply fill them in with spackling paste. Spackling pastes are a simple and good fix that most painting services use to fill out small to medium-sized holes, and could be purchased at any local hardware stores in Singapore. Aside from plastering holes, also keep an eye out for those loose and cracked plasters that you should chip away as you prep up for repainting your home. To repair these cracks, use a thick plaster and daub it up to the crack’s deepest point. After that, smooth out the remaining plaster for a clean finish, and make sure that all the repair jobs are fully done and dried up before painting. Just like other surfaces in a house, ceilings, walls, trims and doors needs some thorough cleaning before being painted. Most of the dirt and stains will easily come off with a simple wipe down with a wet rag or a mop. But for tougher stains, mix a solution of a powdered laundry detergent and water to speed up the cleaning process. If you engaged a service like Color Creative they will help you to do all these. Use a clean rag that’s soaked in the soapy mixture to help dissolve any dirt or grease build up. But do give your wall’s surface another wipe with a clean, water-soaked cloth to remove any leftover soaps that could cause your paint to chip. Keep in mind that a clean painting surface will lead to a better paint job. With a wide array of paint available and to choose from, it’s quite easy to get lost in the color aisle of any hardware stores. But by using the same guidelines as those of some Singapore painting services, picking out the perfect paint type and color for your residential painting project would be a lot easier. The first thing that you should do would be to pick and apply a good primer, so that you paint color would not just simply adhere to the wall but also make a more even coat for the surface. 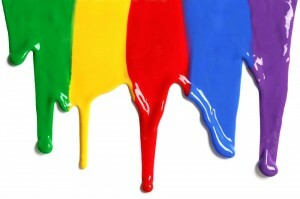 After that, decide on the kind of paint that you would like to use – a matte or a glossy one. But in choosing the type of paint, take note of imperfections of your walls first. If your walls are prone to getting cracks, then steer clear from high-gloss paints. Yes, glossy paints can offer high durability and make your wall a lot easier to clean, but it might just make your wall’s imperfections more obvious that it already is. Going with the matte paint on the other hand, will help in hiding unfixable spots and cracks, but expect it to be more susceptible to any damage as it is not as durable as the glossy paint. Also, don’t be afraid in purchasing different colors and just rely on the paint samples provided by your local paint supplier in Singapore. Going with these small cans will only cost you a fraction of the price and you can already choose the perfect color that you want for your home. Given the right kind of paint and with the help of these guidelines, you can already repaint your home even without the need of any painting services. So just go ahead and let your inner home designer do your home paint job.